Laoag City—The National Movement of Young Legislators-Ilocos Norte, in cooperation with the Children International Philippines foundation distributed shoes for students at Brgy. La Paz village this city on August 8, 2018. Laoag councilor Roque Benjamin C. Ablan led the distribution with the special participation of Sangguniang Panlalawigan senior member Matthew Joseph M. Manotoc, Ilocos Norte Sangguniang Kabataan president Rafael Salvador Chua Medina and Laoag councilor Handy Lao. The Ilocos Norte Regional School of Fisheries is the second benefactor after Caoacan National High School. The INRSF received 600 pairs of shoes for each of their students as well as the faculty and staff. Gabu High School is their next destination with a target of 800 pairs of shoes to be distributed. The Children’s International Foundation works to get rid of poverty through diverse programs that provide children access to medical and dental care, educational support, life skills and leadership training, and so on. The foundation also focuses on programs like education, health, nutrition, youth development, child abuse prevention, infrastructure building, disaster preparedness and risk reduction. Mr. Ablan said the shoes are “not just worn for comfort but most importantly to protect children from contaminated soil or harmful debris”. “We want to set an example to the youth that we should all work together despite our differences in our social and political beliefs. 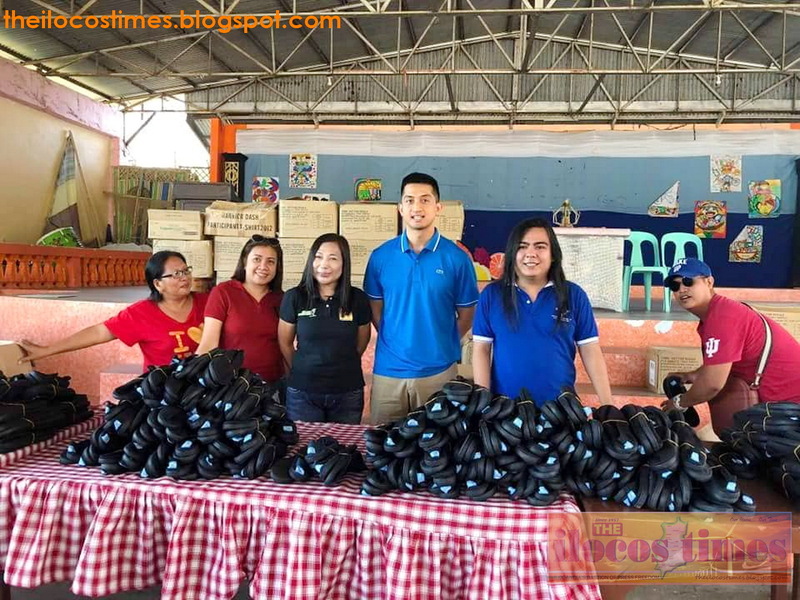 We work in one government, in one province, we serve the same people so let us help each other,” said Mr. Ablan as he noted the shoes distribution came just in time for the celebration of International Youth Day on August 12. Just after the distribution at the Ilocos Norte Regional School of fisheries in this city. Dennis Antonio, administrative officer of the school said they are grateful for being identified as one of the recipient-schools in the shoes distribution program. “For the first time in 14 years that I am with the INRSF, it is only now that I came across this program,” said Mr. Antonio referring to the distribution of 600 new shoes to their students. He said the extra shoes for the children is a big help to ease the financial burden of some parents who could hardly provide for the basic needs of their children. 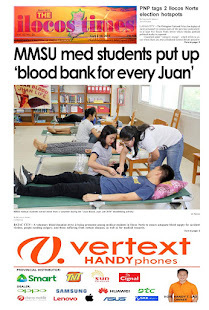 Aside from shoes, the city lawmaker is also spearheading the distribution of thousands of books and dehydrated vegetable soup mix to boost the education and health welfare of school children in this part of northern Philippines.